My Works For Me Wednesday tip is an easy one. I couldn't think of anything profound or exhilarating off the top of my head so you get an old fall-back you've probably heard a thousand times lol. 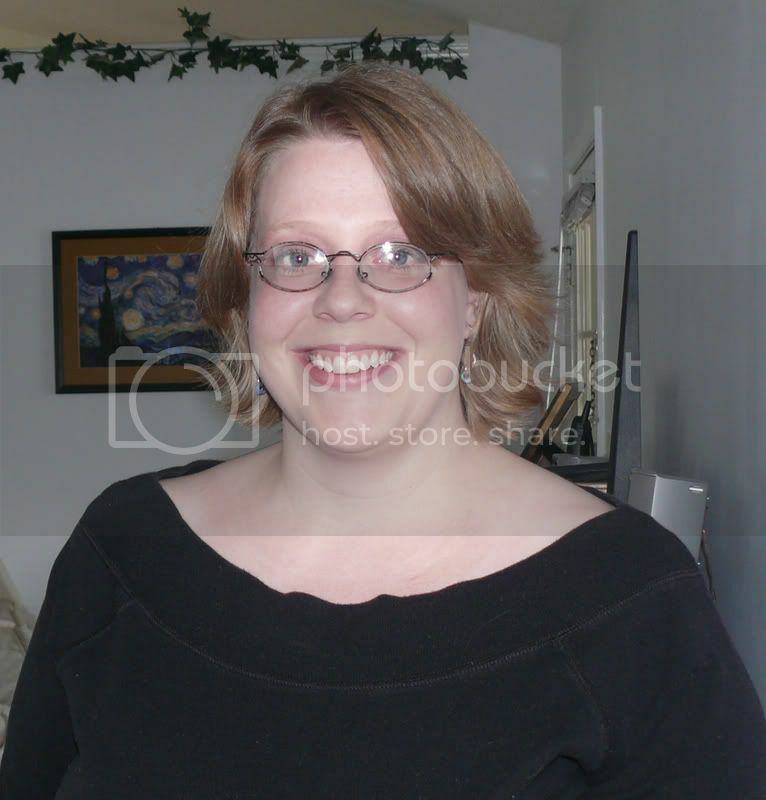 And another warning, I just woke up from a nap and am a little groggy, so I might babble on a bit lol. I've never liked sorting laundry. In fact I've never liked much about doing laundry, and sorting fell in the list of thing I hate about it, right after folding, which I truly hate. It's just so gross to paw through dirty smelly clothes to put them in piles. I remember doing it as a kid in a house of at least 11 people at all times. We had the biggest laundry pile you have ever seen! So weekly we'd get all the laundry into the living room and sit around making piles all over the floor- whites, lights, blues, reds, darks, towels, sheets, underthings, etc. It was a mess! How was an 8-yr old supposed to remember what went in what pile?! So I eventually banned sorting from my laundry routine...until the wonderful day I found the nice 3-section laundry hamper at WalMart. Along with my love of containers and organizing things comes the love of items with sections, I just had to have it. So sorting re-entered my life. Towels in one section, whites and lights in another, and colors in the last! So easy! And I didn't have to go through piles of laundry to sort it before washing, just through the dirty clothes in the right section when I was done with them. And I realized having them sorted into 3 sections works just as well as the 7+ different piles my family used to do. And it makes laundry easier, I can tell when it's about time to do a load, or how many loads I have, at just a glance. And another tip I found on WFMW is to use mesh lingerie bags for socks, which I have now started too. I pin it to the side of the hamper and when I do a load of whites I throw it in the wash with them. I still haven't figured how to make folding and putting away my clothes any easier for myself, but at least getting the laundry clean is not a hassle! 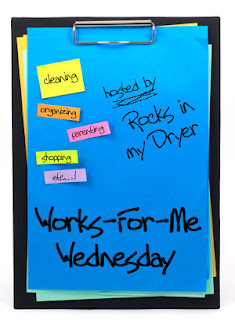 Go to Rocks In My Dryer to join in WFMW and read more great hints! I also have one of these and absolutely love it. My only complaint would be, they need one with four sections vs three. I love the fact that I can tell when a load needs to be done just by eyeballing it rather than digging through it.